private parking in the residence. t2 completely renovated apartment with separate bedroom (bed 2 persons), living room (TV / DVD video library, library), fully equipped kitchen (dishwasher, washing machine, oven, microwave, hob, fridge with freezer , toaster), bathroom with bath, air conditioning, heating, internet access. The perfect apartment to blend right in with village life. Wonderful weather wonderful cafés, very relaxing. This is a superb apartment! My wife and myself spent a very happy week there, a great mix of mod-cons and interesting features, with a fabulous view. Location couldn’t be better, a couple of delis around the corner and a 5 minute walk to Cassis Harbour and the classy thrum of this gorgeous part of the Côte d’Azur. Robert and his wife were delightful and helpful hosts. So we had a good time! Charming place, great location, very comfortable. We stayed 5 nights in Robert's apartment. It is decorated and appointed very nicely. Absolutely sparkling clean. The location is perfect for a couple, just a few steps from the port. The kitchen is well equipped -although we did no cooking--there are two shops just at the entrance to the apartment complex; a butcher and a small tabac/grocery. Both have prepared dishes like a traiteur and the boucherie has rotisserie chickens. Having parking in the apartment complex lot is a huge plus. It was delightful to sit at the open window and enjoy breakfast or a light lunch or supper. As noted in one of the reviews in French, there are a lot of towels, soaps, toilet paper, dishwasher and laundry detergent, paper towels. Both town beaches are an easy walk, we preferred the pebbly Plage du Bestouan over the Grand Plage. The nearest calanques (Calanque d'En-Vau and de Port Pin) are walkable if you are so inclined. We would recommend his apartment as the ideal place to enjoy this delightful town. Beautiful Cassis, lovely apartment , accommodating host! This apartment could not have been better! So inviting and comfortable, and great kitchen. 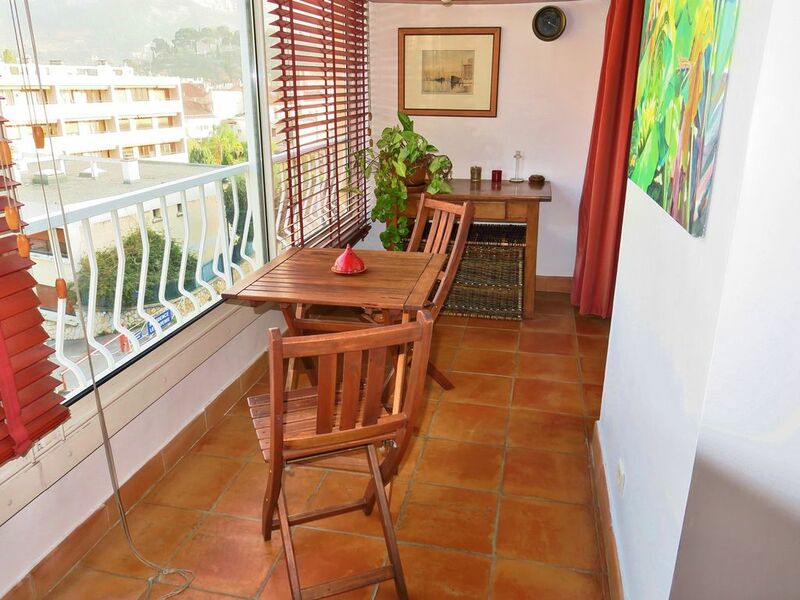 It is well situated for walking to the beach, vineyards, hiking trails, markets, everything! Thank you, Robert, for such a lovely stay in your apartment and for welcoming us to Cassis! Roberts apartment was wonderful. It was perfectly located and well stocked especially for the person interested in cooking..unusually clean and a great place all around..I look forward to my next stay. Une caution de 500€ sera demandée à l'arrivée des vacanciers.